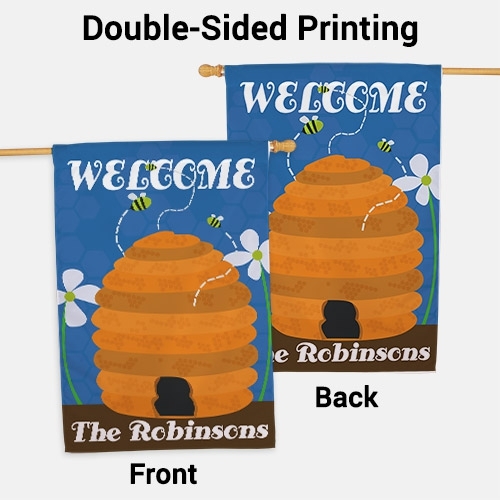 What better way to celebrate the arrival of summer then to display these wonderful Welcome Bee Personalized House Flags. 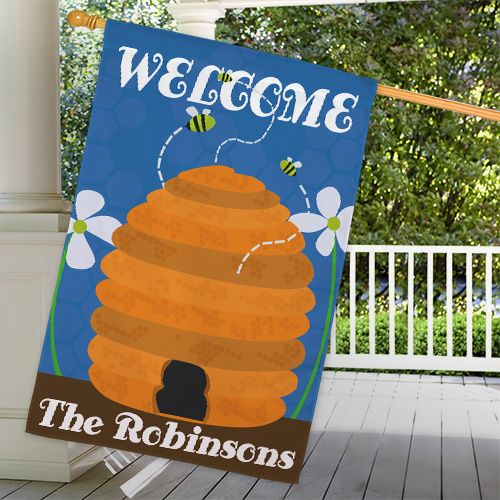 The great look of this Beehive is sure to give anyone a warm welcoming feeling each time they visit your home. 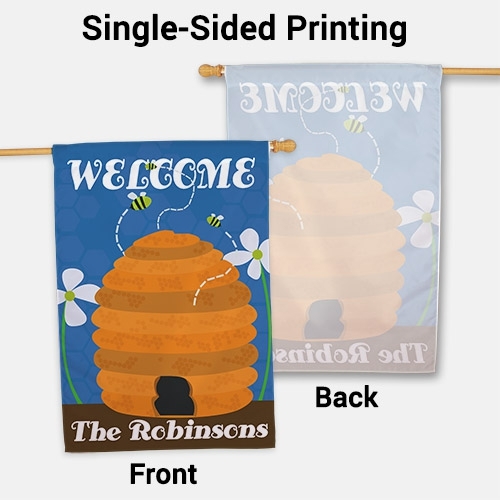 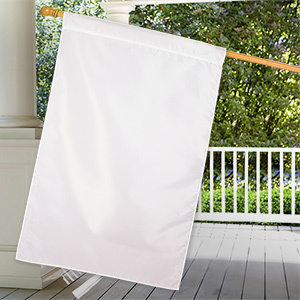 Personalized your decorative house flags with any one line custom message.